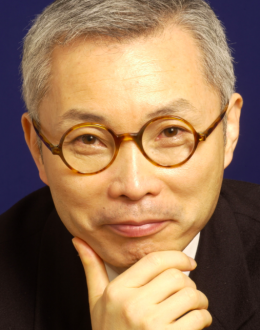 W. Chan Kim is Co-Director of the INSEAD Blue Ocean Strategy Institute and The Boston Consulting Group Bruce D. Henderson Chair Professor of Strategy and International Management at INSEAD, France (the world’s second largest business school). Prior to joining INSEAD, he was a professor at the University of Michigan Business School, USA. He has served as a board member as well as an advisor for a number of multinational corporations in Europe, the U.S. and Pacific Asia. He is an advisory member for the European Union and serves as an advisor to several countries. He was born in Korea. Kim is a Fellow of the World Economic Forum. His Harvard Business Review articles, co-authored with Renée Mauborgne, are worldwide bestsellers and have sold over half a million reprints. Their Value Innovation and Fair Process articles were selected as among the best classic articles ever published in Harvard Business Review. They have co-authored articles in The Wall Street Journal, The Wall Street Journal Europe, The New York Times, The Financial Times and The Asian Wall Street Journal, amongst others. Kim has published numerous articles on strategy and managing the multinational which can be found in: Academy of Management Journal, Management Science, Organization Science, Strategic Management Journal, Administrative Science Quarterly, Journal of International Business Studies, Harvard Business Review, Sloan Management Review, and others. The Journal of International Management recognizes Kim as one of the world’s most influential academic journal authors in global strategy. He is the co-author of Blue Ocean Strategy: How to Create Uncontested Market Space and Make the Competition Irrelevant (Harvard Business School Press, 2005). Blue Ocean Strategy has become an „International Bestseller,” after reaching the „Wall Street Journal Bestseller,” „BusinessWeek Bestseller,” and „National (American) Bestseller” status. It has sold over two million copies and is being published in a record-breaking 42 languages. It is a best seller across 5 continents. Blue Ocean Strategy won the Best Business Book of 2005 Prize at the Frankfurt Book Fair. It was also selected as the number one Strategy Book of 2005 by Strategy + Business, Booz Allen & Hamilton’s leading business magazine, and as a Top Ten Business Book of 2005 by Amazon.com. Kim received the Nobels Colloquia Prize for Leadership on Business and Economic Thinking 2008 and is a winner of the Eldridge Haynes Prize, awarded by the Academy of International Business and the Eldridge Haynes Memorial Trust of Business International, for the best original paper in the field of international business. After being among the top five most influential business thinkers in 2009, Professor Kim was ranked No. 2 on The Thinkers50 2011 list of the world’s top management gurus. He also won the 2011 Thinkers50 Strategy Award for his research on Blue Ocean Strategy. Blue Ocean Strategy was recognized as the business book of the last decade. Professor Kim was selected for the 2011 Leadership Hall of Fame by FastCompany magazine for his book, Blue Ocean Strategy. He is the winner of the Prix DCF 2009 (Prix des Dirigeants Commerciaux de France 2009) in the category of « Stratégie d’entreprise ». L’Expansion also named Kim along with his colleague Renée Mauborgne as „the number one gurus of the future”. The Sunday Times (London) called them „two of Europe’s brightest business thinkers. Kim and Mauborgne provide a sizable challenge to the way managers think about and practice strategy. The Observer called Kim and Mauborgne, „the next big gurus to hit the business world.” Kim is the winner of several European Case Clearing House awards including ‚Best Case in Strategy’ and ‚Best Overall Case’ across all disciplines. Kim co-founded the Blue Ocean Strategy Network (BOSN), a global community of practice on the Blue Ocean Strategy family of concepts that they created. BOSN embraces academics, consultants, executives, and government officers.